Update: the latest Software update for Splatoon 2 was released today, and brings back the Great Zapfish where it belongs. 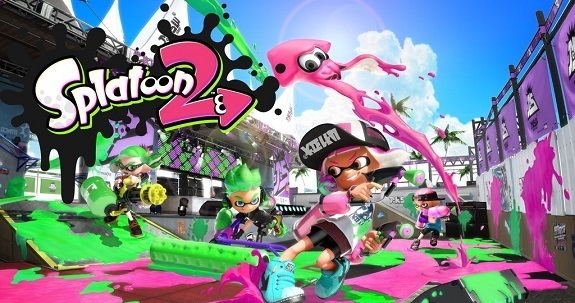 Check out the Splatoon 2 Updates page for more details! Earlier today, Nintendo released a major update for Splatoon 2, that brought the game to Ver. 2.0.0. Alongside the new content (new gear, new hairstyle, new weapons, and much more), it looks like the update also brought a rather interesting and unexpected glitch… it made the Great Zapfish disappear! Just like in the original Splatoon, you first need to clear the Hero Mode in order to have the Great Zapfish appear in the Inkopolis Square. But it’s a bit different in Splatoon 2: it doesn’t stay on the tower, and can instead be seen flying around if you meet certain conditions. Naturally, the developers are aware of this (rather minor) issue, and they plan to provide a fix for it with the next update. The fun thing about this glitch is that most people probably wouldn’t have noticed the Great Zapfish had disappeared if the Squid Research Lab had not posted a notice on the official Twitter account in Japan. Even if you did know about the Great Zapfish flying around the sky, it’s unlikely you go and try to spot it every time you turn on the game (you’re most likely headed straight to the online lobby, or Grizzco). In fact, it’s likely many people only found out about the Great Zapfish thanks to this notice… that’s the case of the person who wrote the post you’re currently reading! I noticed, that’s why I googled “where is the Great Zapfish” cuz he wasn’t on or behind the tower and wasn’t flying around in the sky. So i beat the final boss again and he was still gone. This took me to google and then to this article lol! And thanks to this, I now know the Great Zapfish flies around.